I’ve reached back into my digital images for this week’s card and used one that I’ve always thought was pretty cute. I couldn’t bear to cut off the mouse’s tail, though. In retrospect I wish I’d rotated the image a little differently so that I could cut off more of the heart shape, in keeping with the sketch, while still keeping the tail intact. I originally planned to make this a one-layer card, but my thicker cardstock doesn’t like to feed through my printer. So I had to use a lighter weight cardstock to print the panel and then mount it on a card base. 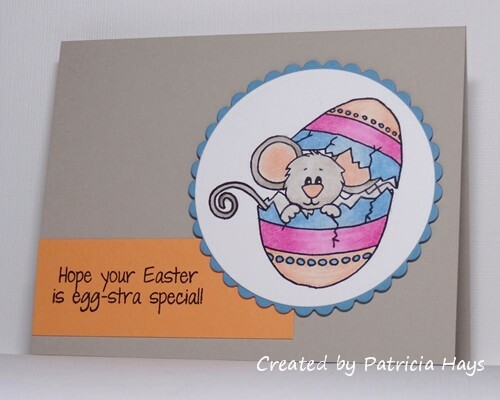 I colored the mouse with my Copics, and chose a card base to coordinate with the grey mouse. I offset the panel, lining it up even with the card base along the top and right of the card, and letting the base add a pop of color along the left and bottom of the card. Oh yeah, the sentiment was generated on the computer, too, printed along with the mouse image. 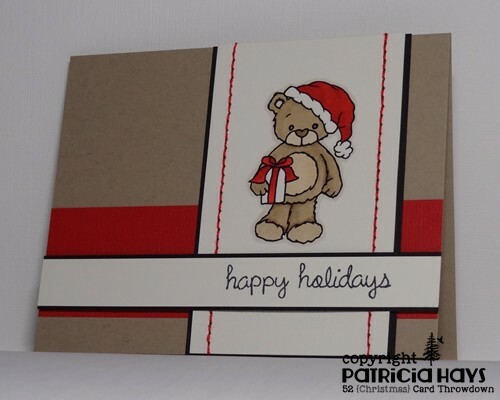 And there’s another card for the stash I’m building for Send a Smile 4 Kids. 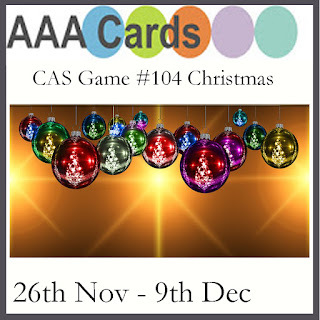 Be sure to visit the CAS Colours and Sketches blog to see the terrific cards the rest of the design team has made. I’m sure they’d love it if you left them comments, too. Then show us what you can do with this sketch! Link your card to the CC&S site by 6:00 p.m. Eastern time Monday, August 14. I hope you’ll join in the fun there! 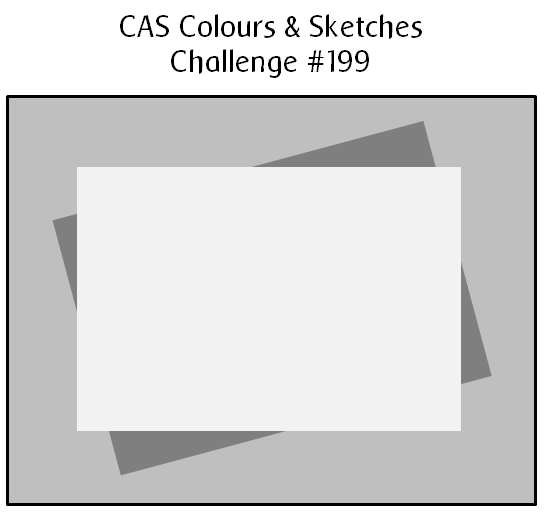 Karen and I are sharing hosting duties this month, and I’ve kicked things off with a color challenge. When I planned it, I wanted to utilize colors that haven’t come up in our challenges for a while. When I sat down to make a card, however, it turned out to be a little more difficult than I’d bargained for! I finally settled on this cute little bunny image. I wanted to color him with my Prismacolor pencils blended with odorless mineral spirits, but I’m out of the OMS. I’ve heard of other people using Goo Gone adhesive remover or baby oil in place of the OMS. We don’t have any baby oil in the house, but we do have a liquid adhesive remover. It’s Elmer’s brand Sticky Out. I decided to try that. Well, it did blend the colored pencil some… but it also started to dissolve the ink of the bunny’s whiskers and roughed up the cardstock there, and it made a real mess out of my blending stump. In retrospect it doesn’t look quite as bad as I thought it did while I was working on the card. But I did go back to the proverbial drawing board and started over. My second time around, I decided to go old school and used my Stampin’ Pastels chalks to color the image panel. That worked a lot better, even with these pastels being a good 13 years old! I originally planned to mat the image onto a couple of circles, but I had a scrap square of Blushing Bride cardstock that the image circle fit onto perfectly. So I thought “why not?” and squared it up. Be sure to check out what the rest of the CC&S Design Team and our August guest designer have done with these colors! 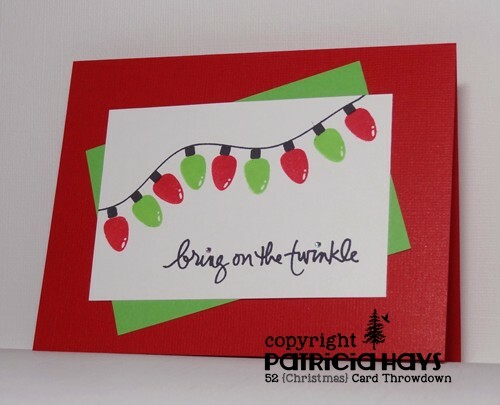 Then share your own card with us by linking it to the challenge post by 6:00 p.m. Eastern time Monday, August 7. We’d love to have you join us! Thanks for stopping by today. Hello there! 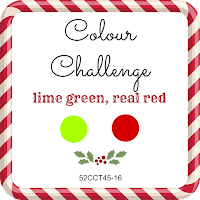 It’s the second Saturday of the month, and that means it’s color challenge time at 52 Christmas Card Throwdown. 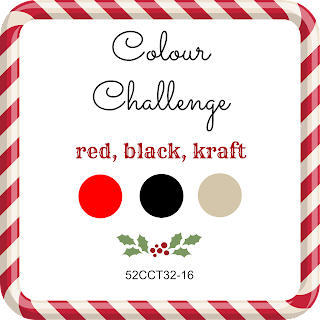 This time we’re asking our challenge participants to be inspired by the classic color combo of red, black, and kraft. It’s been a while since I’ve used any of my digital images on a card, but this one particular bear image seemed to be the perfect thing to use for the color challenge. I’ve colored him with Copic markers and added some hand stitching along the edges of the image panel. I’ve used the current Freshly Made Sketches challenge for the layout of my card. I’ll admit that this card might be more accurately described as “clean and layered” rather than “clean and simple” but I’m going to go ahead and enter it into the current challenge at AAA Cards. Be sure to check out what the rest of the design team has made. Then show us what you can create with these colors! 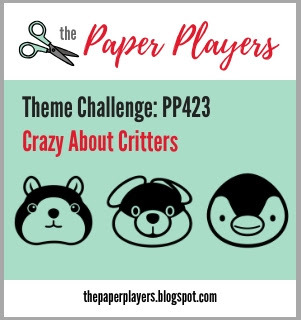 We’d love it if you joined our challenge this week. You have until 7:00 pm Eastern time Friday, August 19 to link your card at the 52CCT site. Thanks for stopping by today! 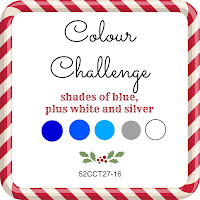 It’s color challenge week at 52 Christmas Card Throwdown, and this week we have some cool wintry colors for you. 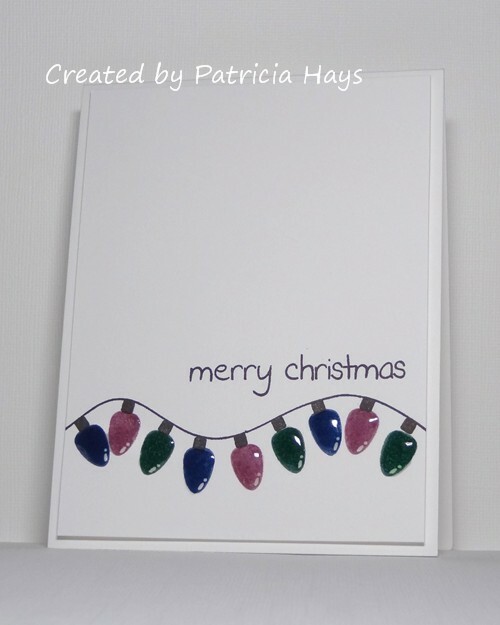 We’d like to see what kind of wintry or Christmasy card you can make with shades of blue, plus white and silver. 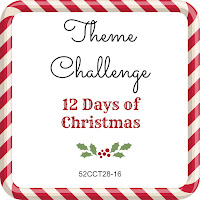 As I was deciding what to do for this challenge, my mind first went to snow and snowflakes. I figured that was a pretty obvious choice. And then, since I don’t always like doing the obvious, I decided to go a different route and use ornaments instead. I’ve stamped them on a white background using three shades of blue that are kind of on the teal end of the blue spectrum, and matted the images with the same three shades. The ornament garland and the sentiment are stamped in silver; in the photo you can see some of the shimmer of the silver ink in the word “cheer”. 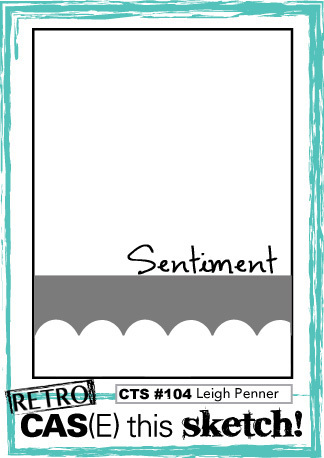 I’ve used this week’s sketch from Freshly Made Sketches for the layout of my card. Cutting the mats was the trickiest part of making this card. Rather than cutting the ovals, layering them, and adhering them to the card front, I decided to layer the rectangular pieces of cardstock from which I cut the ovals. So the white layer is adhered directly to the card base, and the other layers are stacked on top of it. Now it’s your turn to show us what you can make with these colors! If you need more inspiration first, go visit the 52CCT site and see what the rest of the design team has created. Be sure to link your card at the 52CCT site by 7:00 p.m. Eastern time on Friday, July 15. We look forward to having you join us! Hello! It’s time for the last challenge of the month at CAS Colours & Sketches. 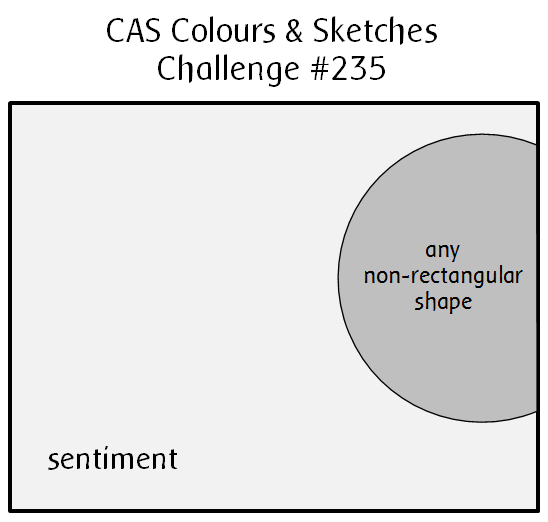 This week we have a sketch challenge. It’s a bit unusual with some interesting curvy elements. 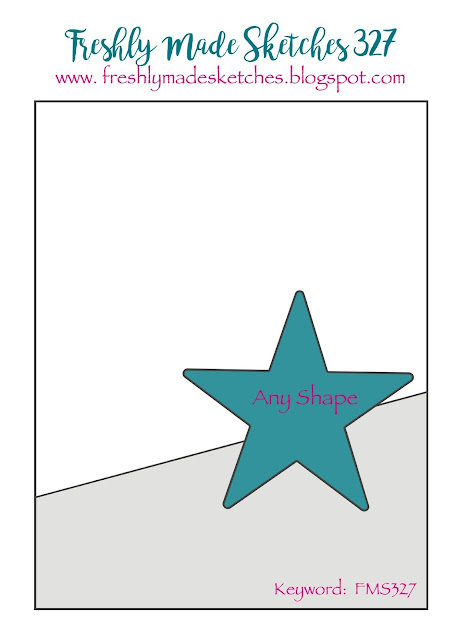 The curved lines of the sketch made me think of one of my oldest Stampin’ Up stamp sets. 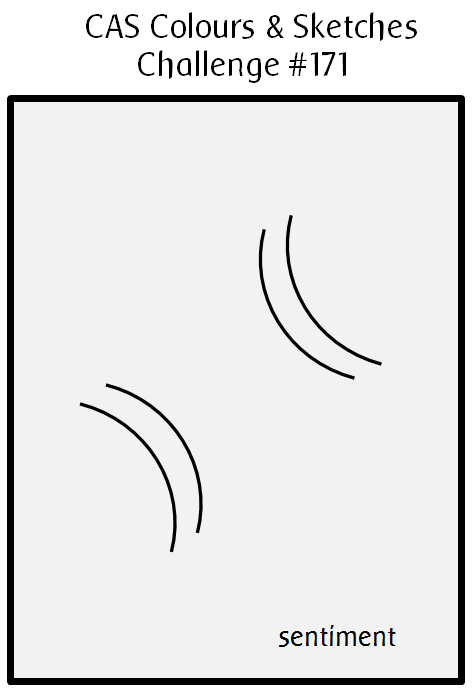 This set has four small border stamps, and three of the stamps have the images arranged in a curve. 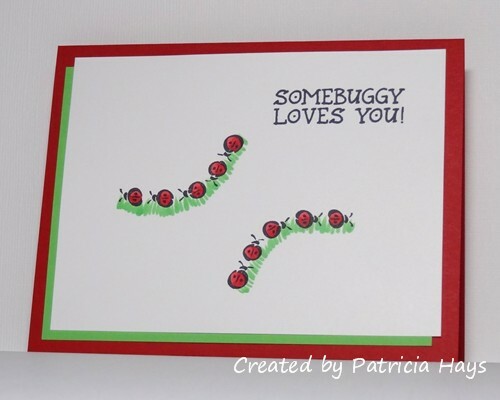 I decided to go with the little bug design and paired it with an appropriate sentiment from a different stamp set. I turned the sketch on its side. For each pair of curved lines in the sketch, I used the bugs for the “upper” line, and drew in some grass for the “lower” line. To add a little extra visual interest, I offset the mat behind the focal panel. Although this isn’t the type of card I personally would send someone, I think it’ll be a cute one to donate to Send a Smile 4 Kids. Thanks for stopping by today! I hope you’ll check out what the rest of the design team has made, and then join us over at CAS Colours & Sketches with your own take on this sketch! You have until 6:00 p.m. Eastern time Wednesday, May 4 to link your card at the challenge website. Well hello there! It’s the first Thursday of the month, which means we have a new hostess of the month over at CAS Colours & Sketches! Louise has come up with some neat challenges for us, and we hope you’ll join in to show us what you can do with them. We’re starting off the month with a color challenge, and Louise has chosen some bright colors for it. 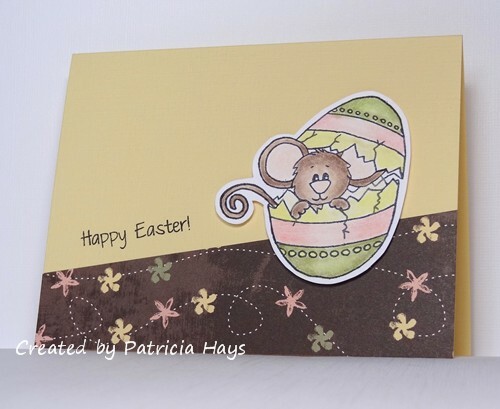 I used them to create a watercolored background, so the colors are toned down a bit on my card. The way the colors blended kind of created a fourth color, but trust me, I used only the three challenge colors for the background. 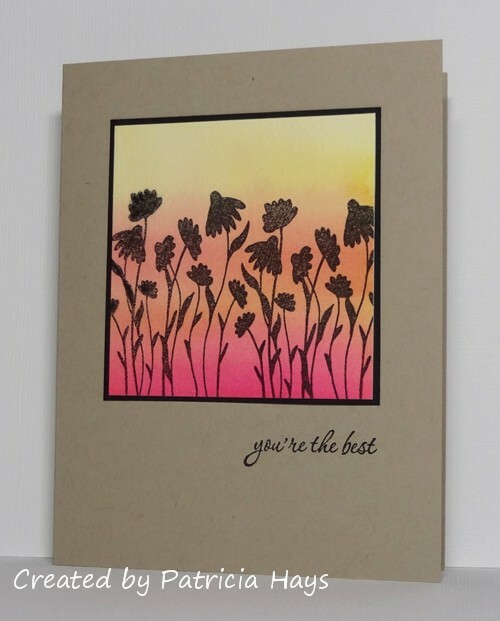 When it was dry, I stamped some silhouetted flowers to make it look like the flowers are set against a sunset sky. Or maybe it’s a sunrise. Use your imagination! 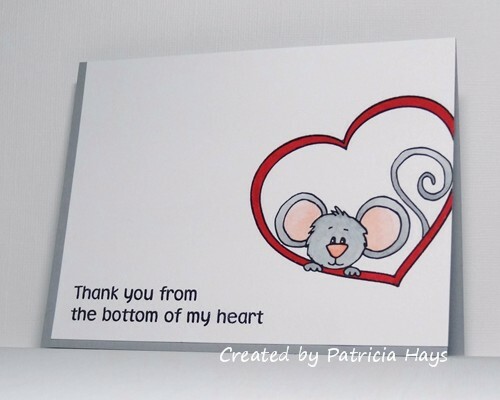 🙂 I added a simple thin black mat to the image to make it stand out from the card base, stamped a sentiment, and called it done. 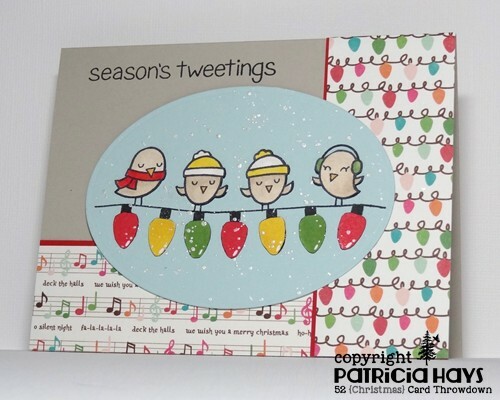 It felt good to use some of my older stamps for this card. 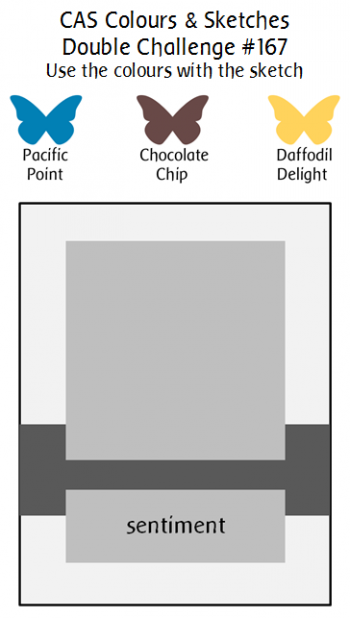 I’m going to submit this to the current Less is More challenge, where the theme is “white space that isn’t white”. Go see what the rest of the CC&S Design Team has done with these vibrant colors! 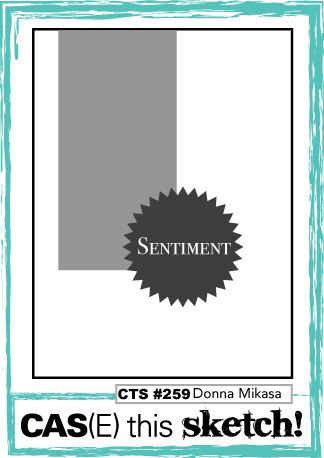 Then make your own card with these colors and share it with us at the CC&S challenge post. You have until 6:00 p.m. Eastern time Wednesday, April 13 to link your card. We hope you’ll join us! Thanks for stopping by today. Hi there! 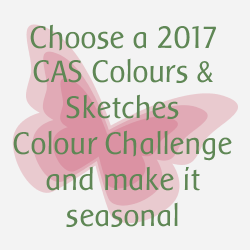 It’s the fifth Thursday of March, and that means it’s time for a double challenge at CAS Colours & Sketches! “Double challenge” means that we provide the sketch and the colors for you to use for your clean and simple styled card. It’s not as difficult as it might sound! Jane has given us a nice, bright color scheme and a simple, straightforward sketch to work with. 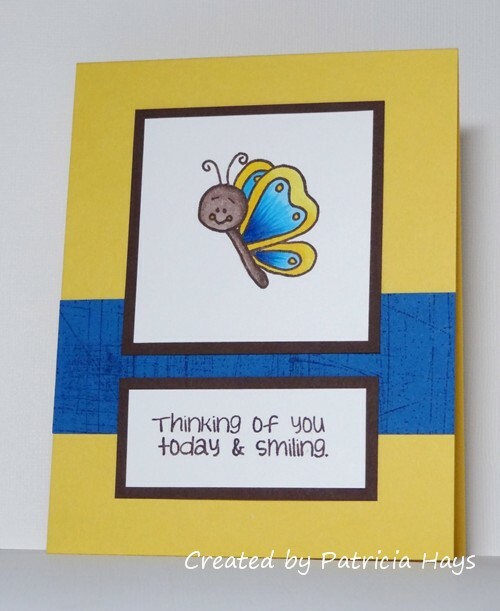 I’ve used a cute little butterfly for the image and paired it with a happy sentiment. The butterfly was colored with my Copic markers. To give a little extra visual interest to the blue strip, I stamped it with a background stamp. 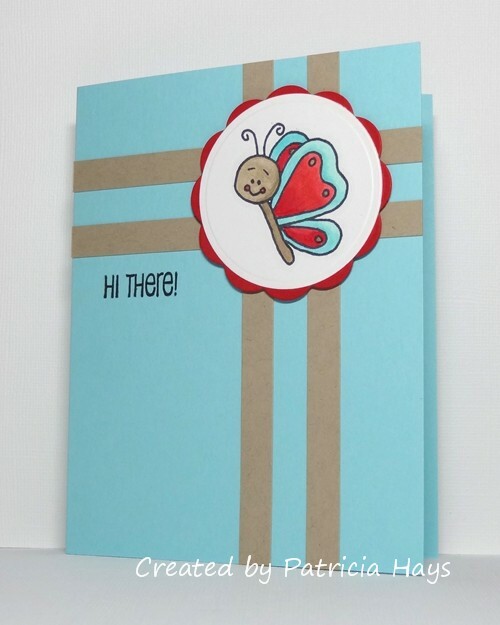 I chose to mat the butterfly and sentiment panels just to make the chocolate brown color more prominent. 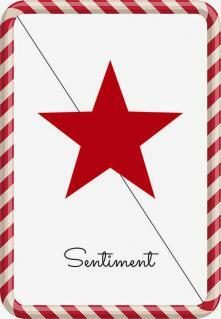 I think it’ll be a cute card to add to the ones I’m stockpiling to donate to Send a Smile 4 Kids. 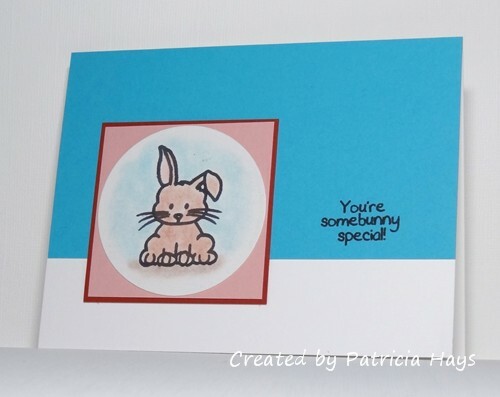 This week is “Make Your Mark” challenge week at Addicted to Stamps and More, so I’m going to enter this card into that challenge. Be sure to check out what the rest of the CC&S Design Team has made. 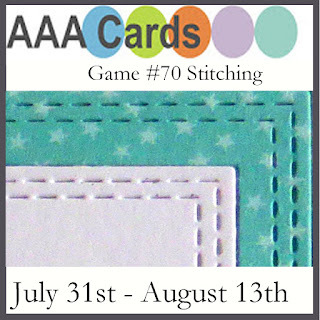 Then get your craft on and link your own card to our challenge post! You have until 7:00 p.m. Eastern time Wednesday, April 6 to share your card with us. We’d love to see what you can do with our challenge! Hello there! 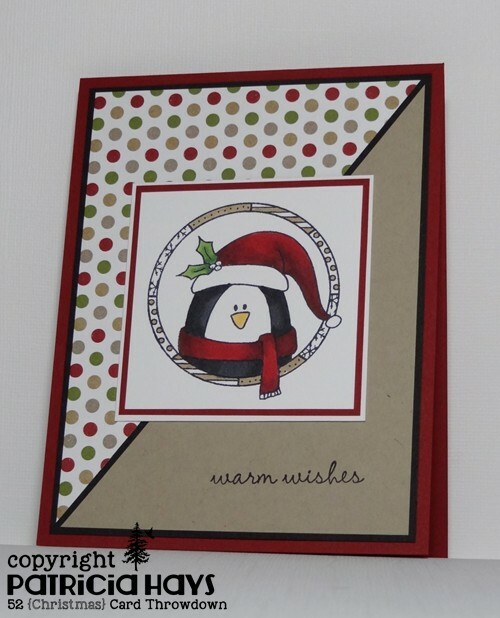 It’s time for the March theme challenge at 52 Christmas Card Throwdown. 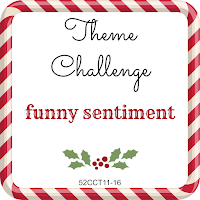 This time we’re asking our challenge participants to use funny sentiments on Christmas or wintry cards. As soon as I saw the theme for this week, I knew which stamps I’d be using. This bear and sentiment never fail to make me giggle! I used a very simple layout for my card, letting the bear and his question take center stage, so to speak. It felt good to use some of this designer paper that I’ve had for a while. Be sure to check out what the rest of the 52CCT design team has made. We can’t wait to see your sense of humor come through in your crafting! You have until 7:00 p.m. Eastern time Friday, March 25 to link your funny cards to our challenge post. Thanks for stopping by today!